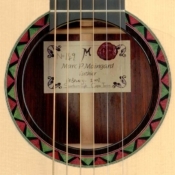 Back in the Seventeen Hundred’s , possibly before rosettes were seen to be the signature of the maker. 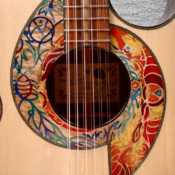 From incredibly fine mosaic to assorted filigree and marquetry pieces. 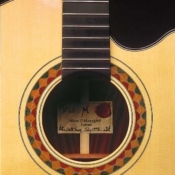 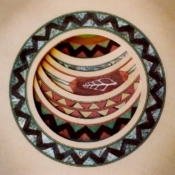 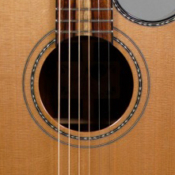 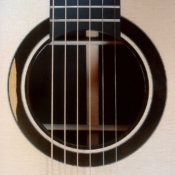 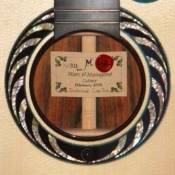 As a steel string guitar maker for sometime I followed the patterns of Martin, Gibson and others, mainly fine lines going round in circles. 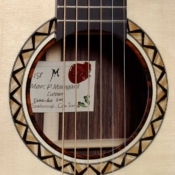 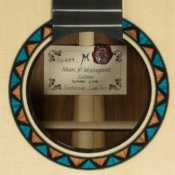 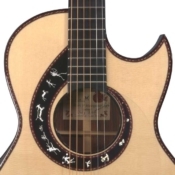 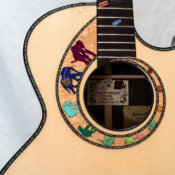 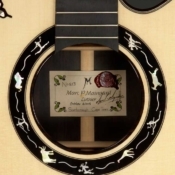 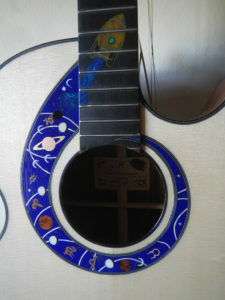 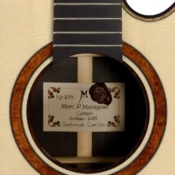 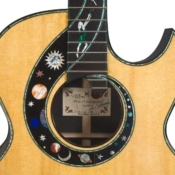 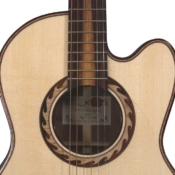 As my reputation has grown in the field of inlay I have been asked to personalise many a guitar with something different. 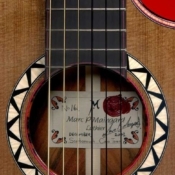 Initially as a maker from Africa I wanted to do something which would show the African heritage, and that was the beginning of the Ndebele rosettes. 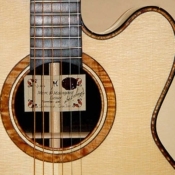 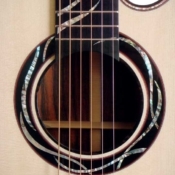 In working with shell inlays I became more an more aware of the the curves that exist on almost all shells, and became acquainted with the Fibonacci principals. 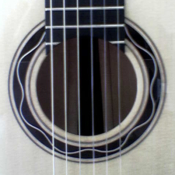 Which if one looks at a shell and many fruit, one sees this curve that occurs in nature the Fibonacci curve. 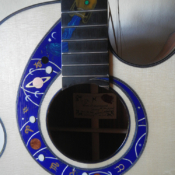 I elicited the help of an organic architect to help me draw the curve in such a way that it could be used as a guitar rosette. 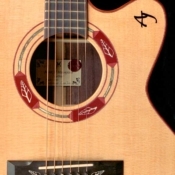 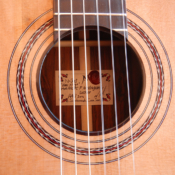 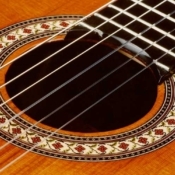 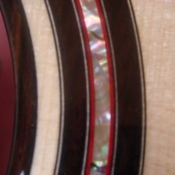 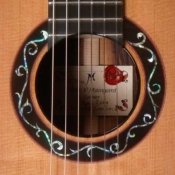 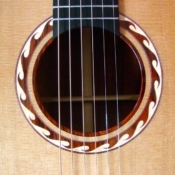 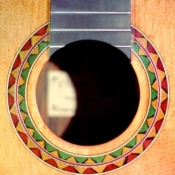 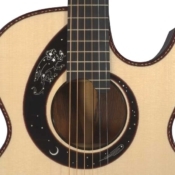 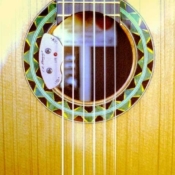 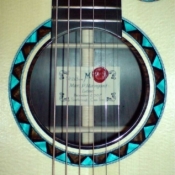 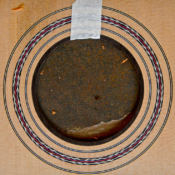 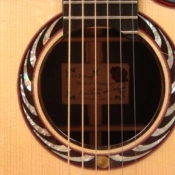 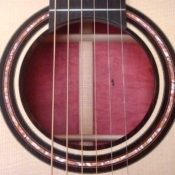 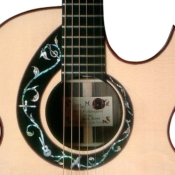 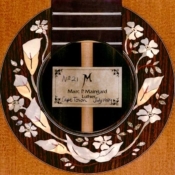 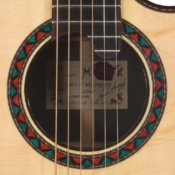 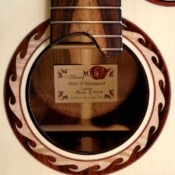 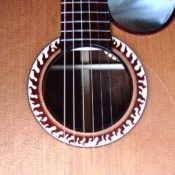 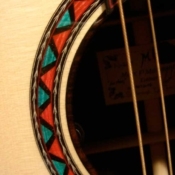 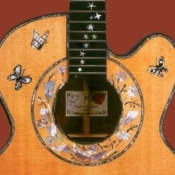 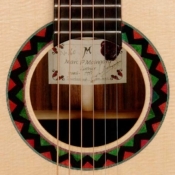 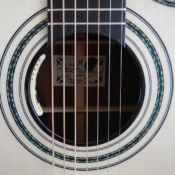 This rosette is complex to execute but it has given me a bigger canvas so to speak to personalise guitars for clients.